The voice of Garage Door Repair Framingham is raised above all problems and all actions taken by our company manage to take care of everything. From the smallest weather seal issue to serious spring problems and the installation of a new door, the service is performed with accuracy and attention. We can assure you that our perfection in services is a very good reason for working with our company. We have the job done perfectly and on time and these things are of the essence. Excellence comes with experience but also with persistence and great training. Our pride is our technicians! They are not only well-trained and experienced but also determined to make further improvements related to their own knowledge and the overall organization of our team. That's why you should choose us! We never let go! We never stop making efforts, even though we have made it to the top. That means nothing to us! It's our duty to keep making endeavors and roll with the times because changes occur every day. 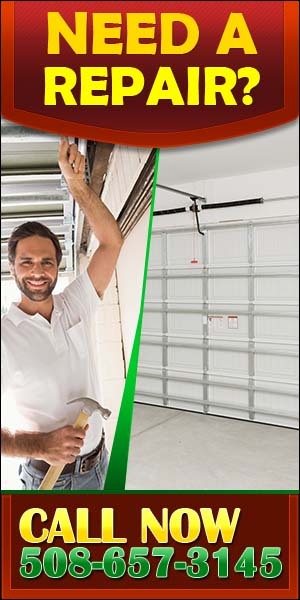 Our specialty to offer outstanding garage door service is guaranteed. We install and replace all doors and their parts. We replace, install and service all electric garage systems since we are knowledgeable and have the knowhow to deal with all door operator problems. Everyone can rely on us because we can fix all doors! Everyone can count on us thanks to our speed and thanks to our efficiency. But we can also give you a few more reasons for choosing to dial our number. Garage Door Repair Framingham would do for you the exact same thing it would do for its own family. Our actions reflect on your safety and daily convenience. We don't play with such things. On the contrary, we try to protect them with excellent services, fast response and full commitment to your occasional needs. As a company with experience which also knows the merits of functional garage doors and the dangers of poorly maintained ones, we settle with nothing less than perfect and this is what you should do, too. That's why you should choose our company.